Boxing, kickboxing, mixed martial arts. 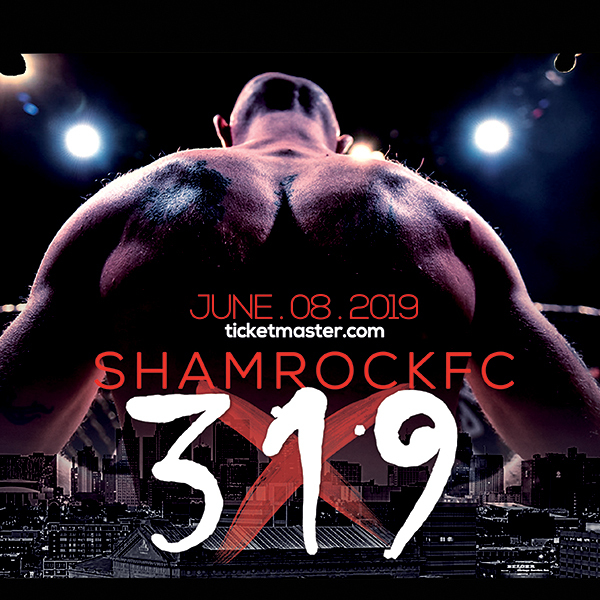 It will all be there for the taking as Shamrock Fighting Championships presents Xtreme Fight Night 3 at the Lumiere Casino on Saturday. Bosnia-born Fazlo Mulabitinovic faces Granite City's Adam Dunnavant in a MMA bout, one of four on the docket. The 22-year-old Mulabitinovic is 1-1. He won his pro debut against Nick Dioneda (a former teammate of Dunnavant's) before dropping a unanimous decision to James Blair in January. "(Dunnavant) is a jiu-jitsu guy so I'm wanting to keep it standing for sure," Mulabitinovic said. "But I still have a BJJ game." With loses to Jesse Thornton and Yohance Flager, Dunnavant, out of St. Charles MMA, won with a 19 second armbar over Bobby Wright in February to even out his record to 2-2. "I told my corner, I'm not even going to have to move," Dunnavant said of the fight. "He was so hyped and coming forward so hard and I just stepped back and broke his arm." Mulabitinovic lived in Bosnia until he was seven before coming to the United States. A basketball player at Bayless and a curious athlete in general, he made his way to Absolute Martial Arts and was all in. "I tried it one day and I was hooked ever since," Mulabitinovic said. He had his first amateur fight at 18 and rattled off a 6-0 amateur career. Mulabitinovic has worked with a new wrestling coach. Hitting wrestling consistently for the first time in his career, he's more confident that ever with his takedown defense and sprawls. "If I get taken down I have to get right back to my feet," Mulabitinovic said. "But where it ends up, it doesn't matter. I came to win wherever it happens." Mulabitinovic holds a purple belt in jiu jitsu and that may come in handy against Dunnavant. Rangy and fluid, Mulabitinovic is a contrast to the wound-tight and forceful Dunnavant. Much like his Granite City streets, Dunnavant is no-nonsense. A decorated wrestler in high school, he went into the service and once out, lifting weights and judo were no longer cutting it so he turned to MMA. A product of two of the most no-b.s. schools in the area, early on at Steve Knogl's CMMA and for a handful of years now at Mike Rogers' St. Charles MMA. Dunnavant is much like his Granite City streets, no-nonsensed. He took his first amateur fight at 24 and fought nearly 25 times and winning 20. When he looks at the matchup with Mulabitinovic, he likes the cards that are in his hand. "All of my strengths are his weaknesses and he's not good enough to exploit my weaknesses," Dunnavant said. "I'll give him the standup because of his reach but wrestling, strength and conditioning, BJJ, that's on me." Never one to make predictions, Dunnavant feels mentally and physically ahead of the game. "If he gives up the submission, I'm taking it," he said. "If it gets down to the nitty gritty it gets more easier. I have the knowledge and I quit feeling pain a long time ago." With XFN 3 being held in a boxing ring, the MMA bout with ropes could be a factor in the fight. Without a cage for Dunnavant to press, push or drive into, Mulabitinovic may be able to snap off punches and keep him at range.